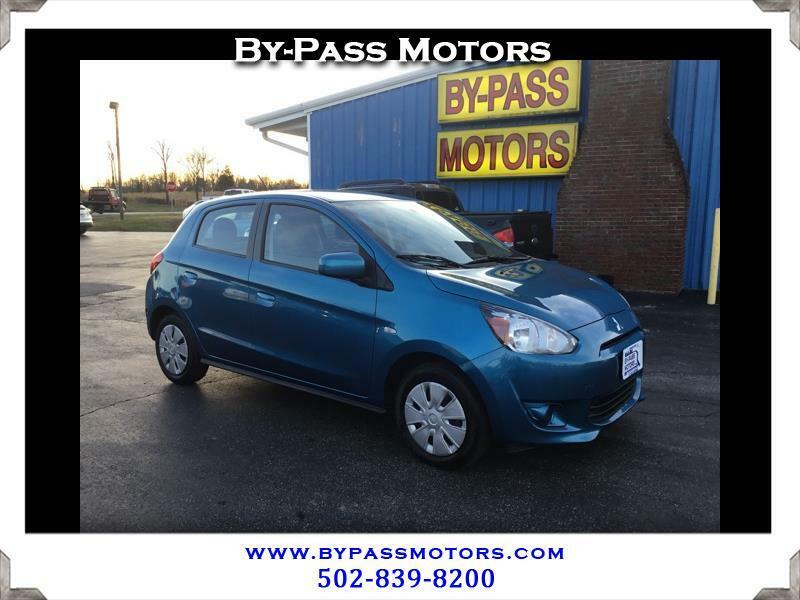 Used 2015 Mitsubishi Mirage ES for Sale in Lawrenceburg KY 40342 By-Pass Motors, Inc. Fully serviced with bumper to bumper factory warranty remaining!!! Bright blue paint and a super clean interior all for less than $8,000 is a steal and you can get it with this cream puff. If your goal is to save on fuel economy or get your new teenage driver a reliable vehicle that won't break the bank then you have it with this Mirage. We have serviced this car front to back and completed a full inspection to insure that when you drive off of the lot it needs nothing. We have been in business since 1989 with an A+ rating with the BBB!!! We look forward to seeing you in our showroom soon to take advantage of this great deal.